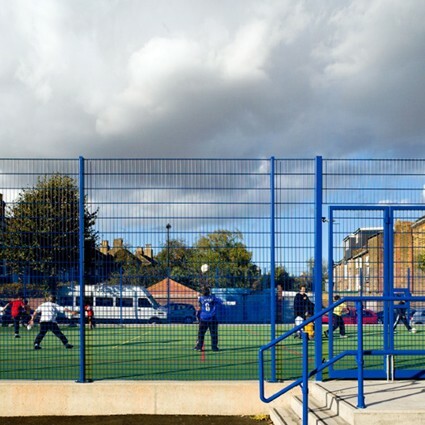 RSS have designed two MUGAs in Hackney. 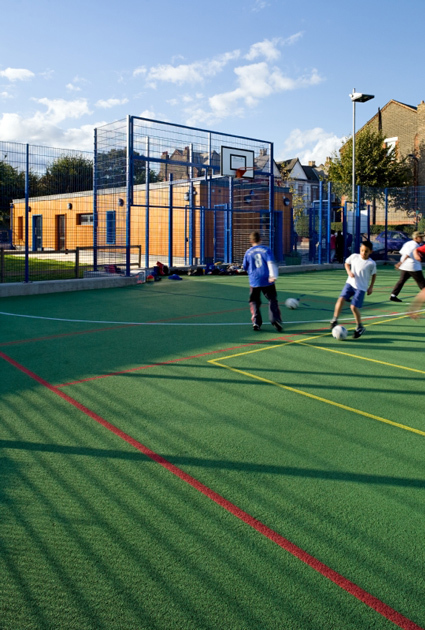 The first, in Haggerston Park, provides three multi-use games areas with polymeric surfaces and a synthetic turf pitch together with a sports pavilion and changing rooms for use by the school and the local community. 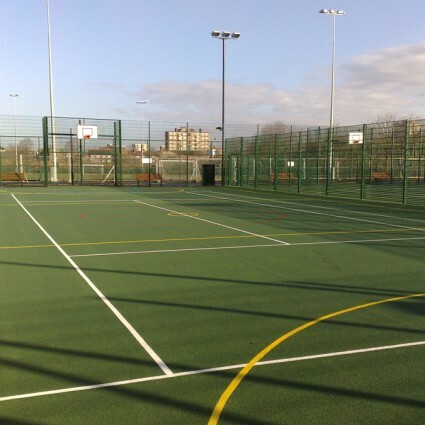 As a high quality green space with excellent environmental and management standards, Haggerston Park has been awarded a national standard Green Flag award. 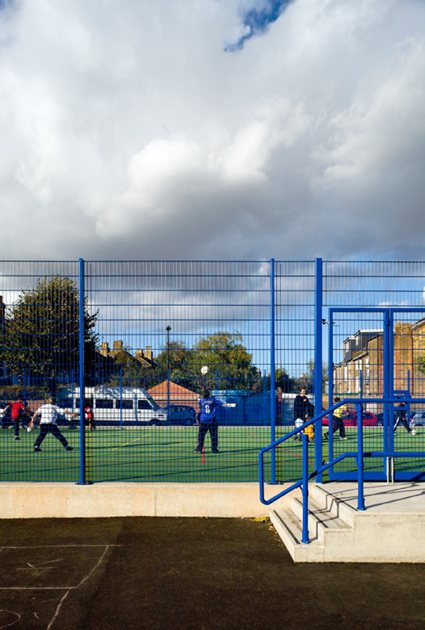 The second provides a new community facility together with a multi-use games area at Jubilee Primary School. 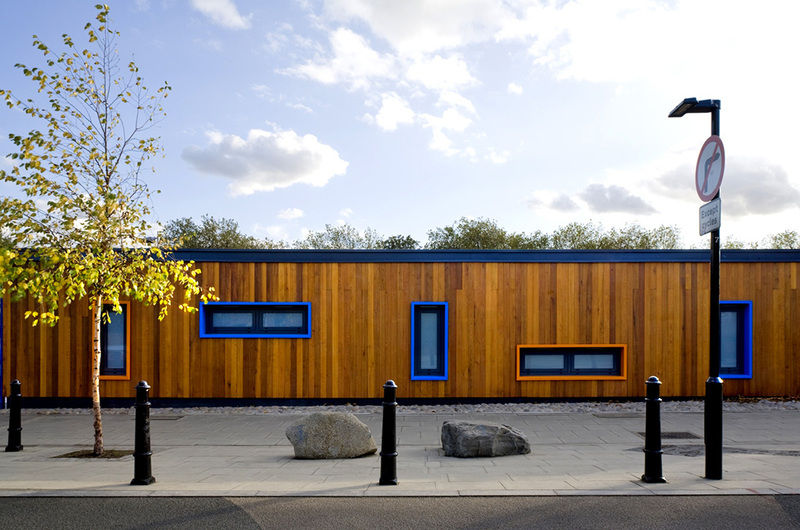 The single-storey building reinforces and adds definition to the site boundary and provides a positive edge between the games area and the main school entrance. 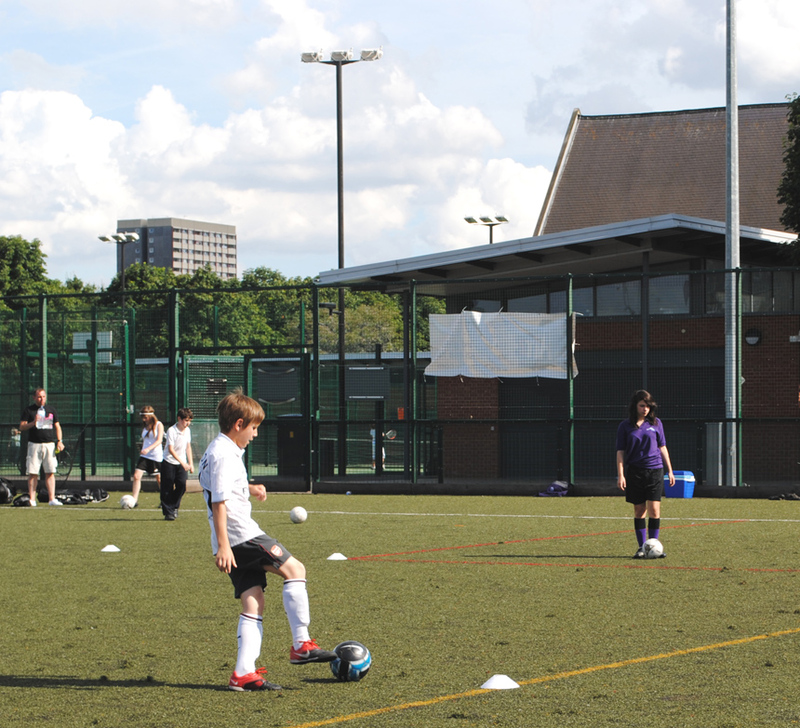 Rivington Street Studio assisted with the school’s successful application for Football Foundation funding. 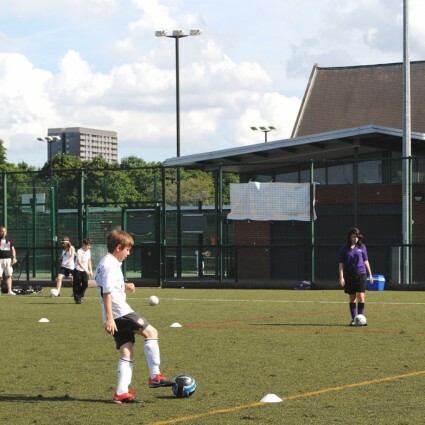 A future phase of the project will include an extension to its Special Education Needs base. 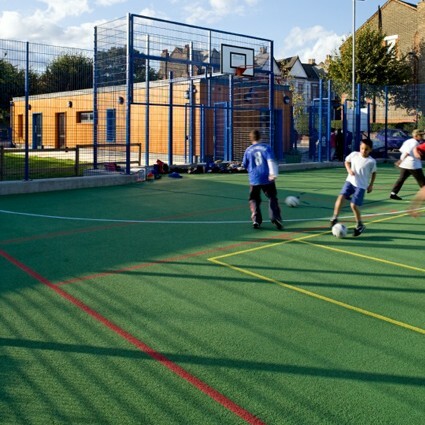 Consultants:The Bridge MUGA: Michael Barclay Partnership, Michael Jones Associates, Dobson White Boulcott. 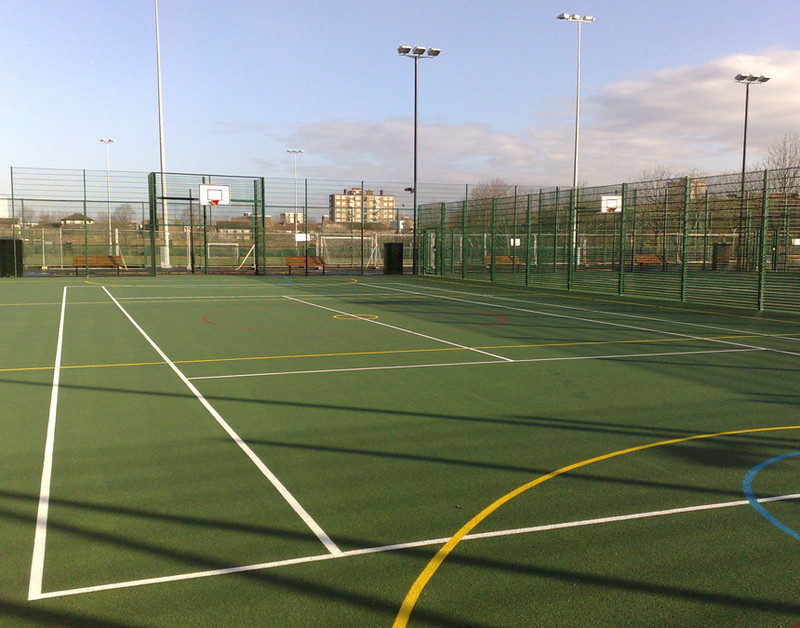 Jubilee Primary MUGA: Michael Barclay Partnership, Michael Jones Associates, Dobson White Boulcott. 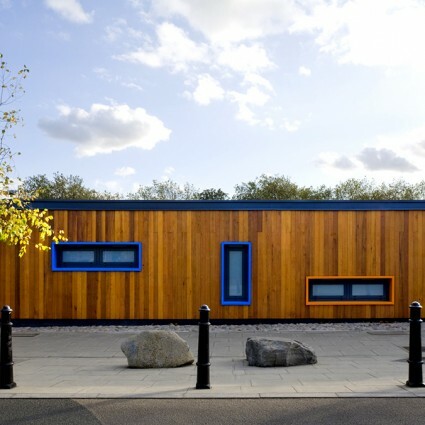 Contractor:Crispin & Borst/Barnes Webster & Sons Ltd.